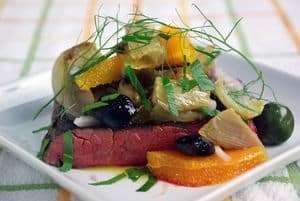 New to Modernist Cooking and Sous Vide? Looking to Expand Your Knowledge? Modernist cooking may encompass a huge amount of information but I focus on creating Amazing Food Made Easy. I've put together several resources the budding modernist or sous vide cook can use to jump start their cooking. Just find the content below you are interested in and you will be creating amazing food in no time that will wow your friends and family. If you're an experienced modernist cook, my articles will help you expand your knowledge base and discover even more ways you can make amazing food. If you are a brand or blogger, here's how to work with Amazing Food Made Easy to get some more exposure. If so, please join the more than 19,000 people who receive my exclusive newsletter and get a FREE COPY of my printable modernist ingredient cheatsheet and printable sous vide ruler. Click on the green button below! Thanks for signing up! I look forward to sending you exclusive content that you can't find anywhere else on the site, and I'll send you a free copy of my modernist ingredient cheatsheet and printable sous vide ruler too! I have published several cookbooks to help you make amazing food. They cover everything from the sous vide and the whipping siphon to infusions and general modernist cooking techniques. I also have several books on sous vide cooking, including an Amazon best seller. 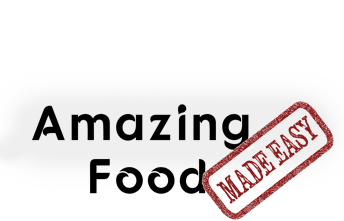 I have over 300 recipes for amazing food that will inspire you and help you wow and impress your friends. I've picked out some of my favorite recipes below, or if you want to just skim my recipes looking for inspiration you can view my recent recipes and see if something jumps out to you. You can also filter the recipes if you are looking for something specific. There is a lot of talk about whether you should sear your meat before sous viding it. There are two main reasons to do it. First, pre-sear before sous vide to sterilize the meat, and second is to add flavor and help out your post-sear. Sodium Alginate immediately gels my liquid? Rest the roast beef to cool a bit before searing? Tie a top sirloin roast? 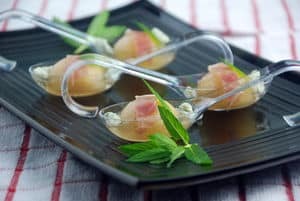 In modernist cooking and molecular gastronomy there are several techniques that are commonly used. We go into them here and show you how to use them to make modernist cooking easy for you. Here are full color copies of all the images from our Modernist Cooking Made Easy: Getting Started book. They should give you a good idea of what we cover in the book. There are many modernist ingredients and we will try to cover how many of them work. Modernist cooking can use a wide variety of equipment and tools. Many of them have very specific uses and are only used for advanced techniques. We want to focus on the more accessible equipment, most of which can be used in traditional cooking as well. We have put together a 240 page book that covers many of the modernist techniques and ingredients needed to get started with modernist cooking and molecular gastronomy. Learn all about spherification, gelling, emulsions, sous vide, and thickening as well as many popular modernist ingredients like agar agar, xanthan gum, sodium alginate, tapioca maltodextrin and more in our easy to understand guide! Charcuterie might be a very old technique but fully understanding it and the products it can produce can help even the most modern of cooks. If you are interested in what Modernist Cooking Made Easy is up to then you can check out my media and press releases. When learning modernist cooking there are many words that you can come across that are new to you. This glossary can help you figure out the meaning of many of them. Here is my collection of modernist recipes. They will teach you a wide variety of modernist cooking methods. If you have any recipes you would like me to add please contact me and I will see what I can do. I know there is a large demand in the modernist cooking and molecular gastronomy communities for a place to get together and exchange ideas and expertise with other people passionate about modernist cooking. I've created these forums as a way to address that need. One of the difficult things about modernist cooking is knowing where to look to find information, tools, and ingredients. My modernist resources section helps show you the most popular modernist books and places to buy ingredients. There are a lot of different cuts of beef and each one is cooked a different way. Check out our guide to all the various cuts of beef. Spices are the key to any good cook. I cover many of the most popular herbs and spices so you can know what to expect in your modernist cooking. One of the techniques in modernist cooking is dehydration. Probably the most popular use of dehydration is making jerky of various kinds. I take a deep look at making jerky and what you need to know to do it at home. Sometimes it can be hard to find good gifts for the cook in your life. Luckily, with modernist cooking there are several options for great gifts you can give. Here are some of my favorite tools and books.